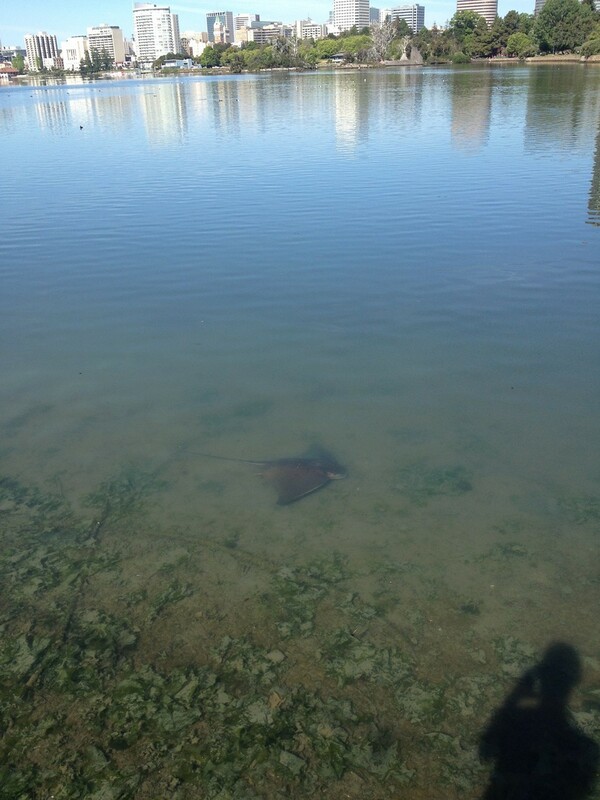 Stingray Spotted in Lake Merritt! Last fall, Lake Merritt made headlines when, for the first time in decades, someone spotted a river otter swimming around, sparking debates about the ongoing revitalization of the body of water. Turns out otters aren't the only newsworthy creatures roaming the lake. 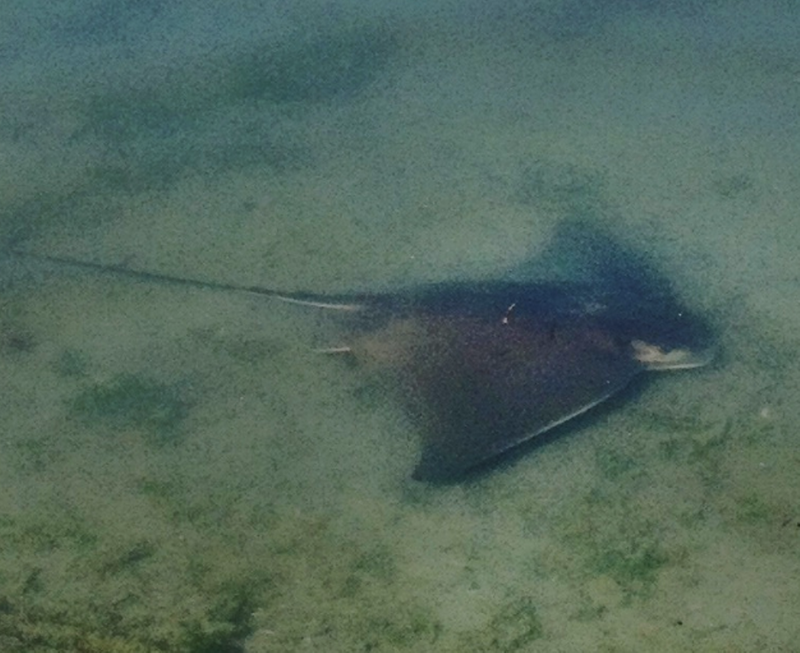 Reader Ashley Garver, who lives near the lake, spotted a stingray this morning, and sent us photographic proof. Images below! Garver told me by phone that she first noticed movement in the water and soon realized she was looking at a an actual stingray. "I couldn't even really believe it." She said the stingray swam along the coastline. "It was following me."